Rising junior Gianna Danese of the Mater Dei Monarchs is the Athletes Choice Workhorse of the Week. When asked what Danese means to the Mater Dei Program, head coach Cressita Bowman described what it means to be a “workhorse” through her response. To appreciate Danese’s dedication, one need look no further than her rigorous schedule this summer that included camps, tournaments, and a training program. Soon after helping the Monarchs win their second consecutive Southern Section championship, Danese traveled to New Haven, CT to play in the Women’s National Tournament. 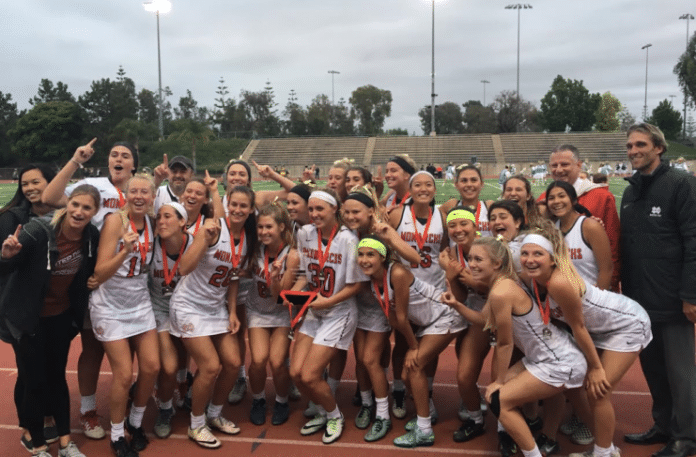 Danese and her Orange County teammates captured first place at the WNT for the first time ever. Danese added to her summer highlights with All-Star selections at the Stanford and UC Berkeley camps. Additionally, she competed in America’s Finest Rivalry, The Pacific Lacrosse Tournament, The Grind, the Capital Cup, and CU-Boulder camp. In between tournaments and camps, Danese found time to improve her game at the Athletes Choice sports club in Rancho Santa Margarita during the week. Bowman also has high hopes for Danese next season and notes that her work ethic helps make her teammates better.